Origin Native from the Indo-Malayan Archipelago the Philippines and the Moluccas through New Guinea to Western Micronesia. 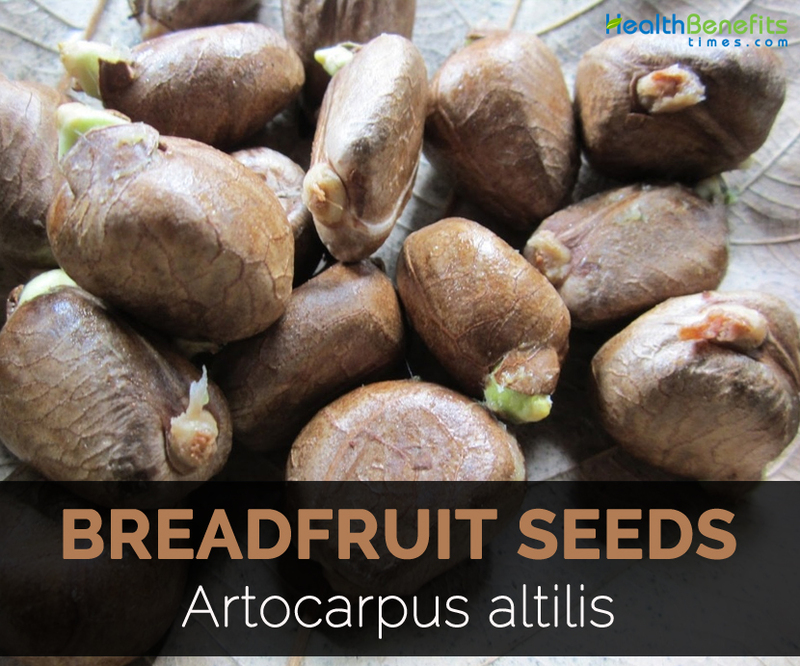 Breadfruit is a multipurpose species whose all parts are used. 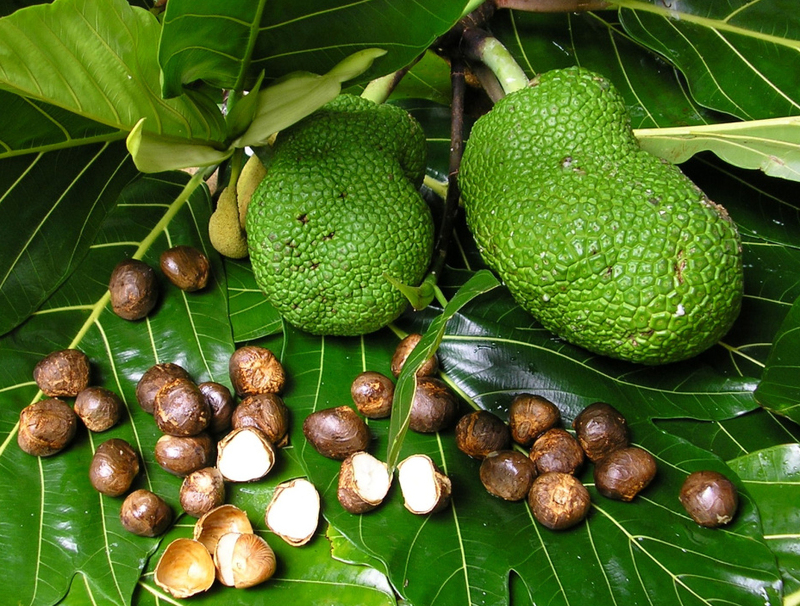 The trees of Breadfruit are known as the plants with highest food yield. Breadfruit prefers deep, well-drained, fertile soils ─ sandy-loams, sands, sandy clay loams, loams to sandy coralline soils. The tree is tolerable to salt and drought but is sensitive to cold. The trees measures 85 feet high and trunk measures more than 2 meters in diameter. Each tree could produce 50 to 150 fruits in a year. Fruits are oval, round and oblong which weighs about 12 pounds. It contains obovoid or rounded, irregularly compressed seeds measuring 1 to 3 cm long. 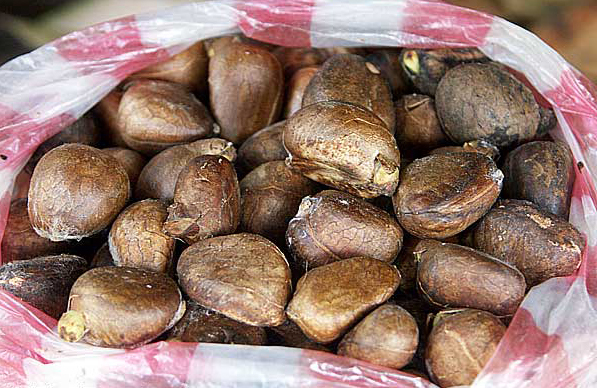 Seeds are quite similar to chestnuts. 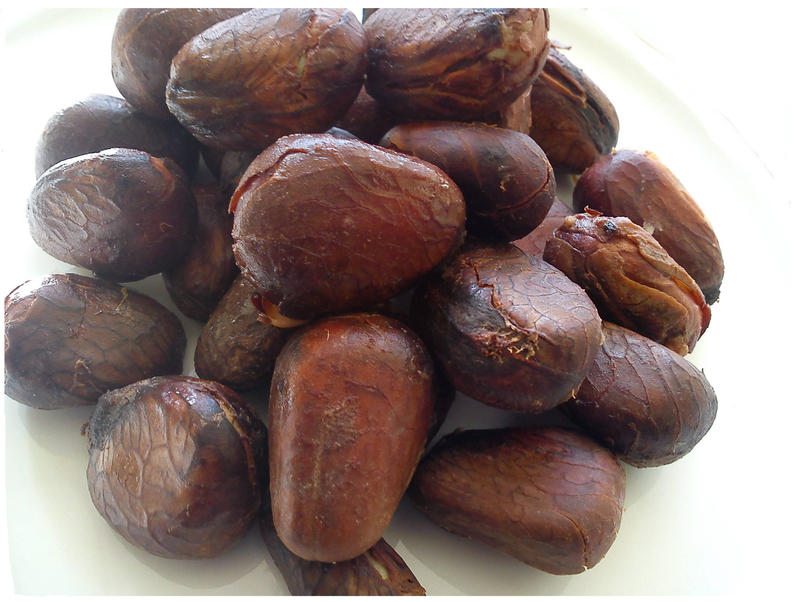 It possesses thin hard shell outside and sweet or creamy inside when cooked. 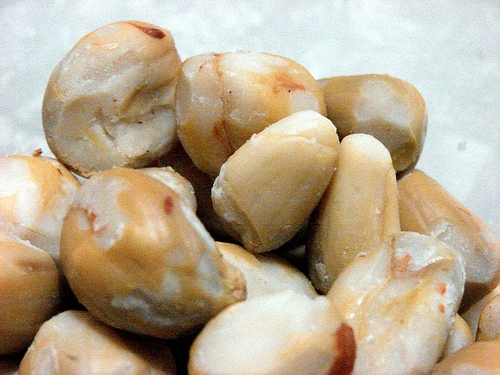 An inner meat of nut is enclosed with a brown membrane. The latex sap is present in all parts of tree which is used as sealant for canoe caulking. The wood is durable and light with light golden color which darkens with age. The wood is used for construction of canoes and houses and also carved into statues, bowls, furniture, handicrafts and others. Being a versatile fruit, Breadfruit could be prepared and consumed in all stages of development as well as maturity. Ripe or mature fruit is consumed as vegetable. 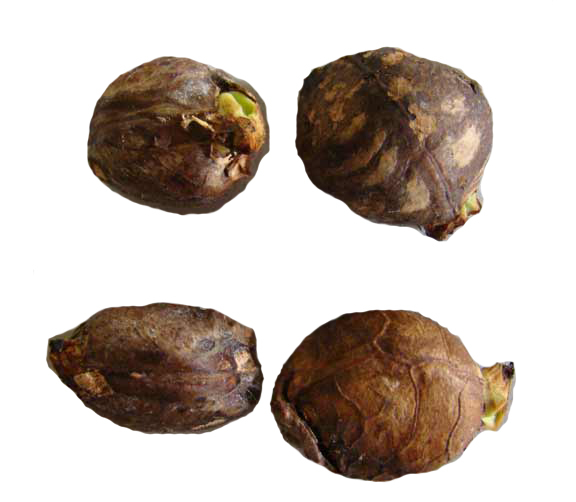 It is widely used in various dishes due to its texture like potato. Breadfruit is free from gluten and is loaded with nutrients. 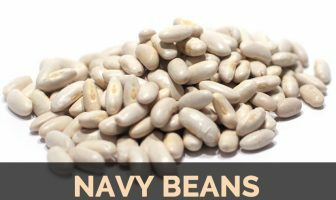 It has high content of carbohydrates and is a great source of calcium, antioxidants, copper, carotenoids, iron, energy, dietary fiber, omega 3, niacin, omega 6, potassium, phosphorus, thiamine, protein, vitamin C and Vitamin A. 100 grams of seeds provides about 7.4 grams or 13 percent of daily recommended values. Seeds contain moderate amounts of protein. Dehusk the seeds before consumption to prevent obesity. 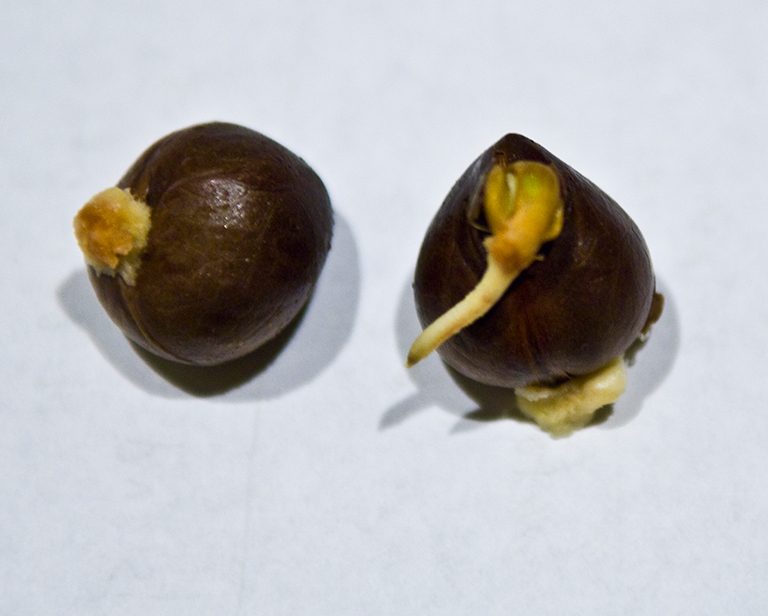 Uncooked seeds should not be consumed raw because it is bitter in taste and might cause choke. 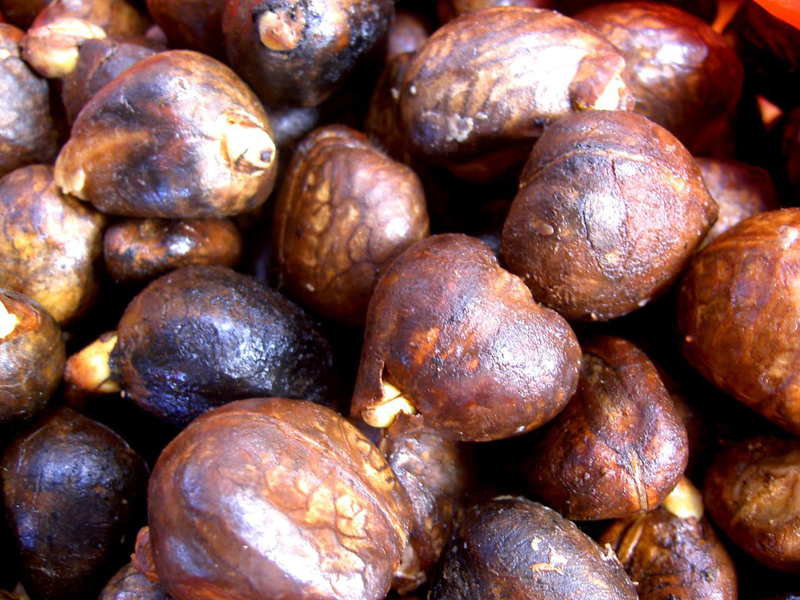 Seeds are consumed after roasting, boiling, frying or baking. 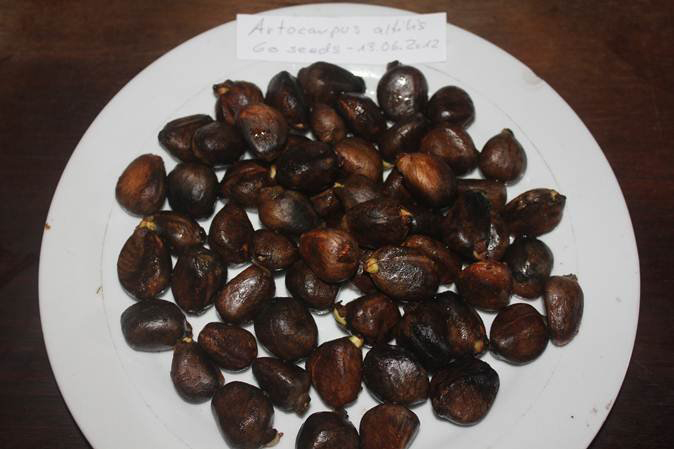 Seeds are cooked in salted water and roasted with salt over fire or hot coals before consumption. 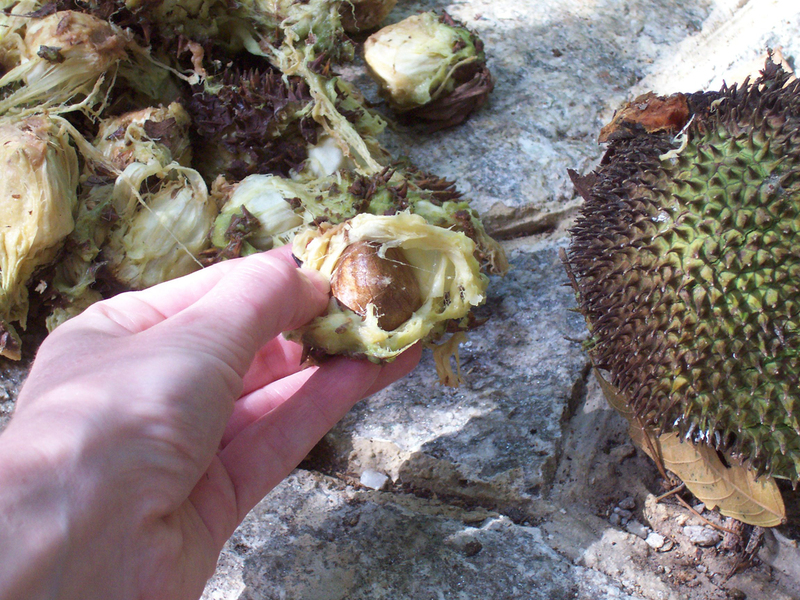 Seeds are sun dried and used like nuts and kernels. It is also used to make puree. Native Native from the Indo-Malayan Archipelago the Philippines and the Moluccas through New Guinea to Western Micronesia. Calories in 1 oz (28.35 g) 54 Kcal. Artocarpus communis var. pungens J. J. Sm. Artocarpus incises (Thunberg) Linnaeus f.
Artocarpus incisus (Thunb.) L. fil. Calories 54 Kcal. Calories from Fat 14.22 Kcal. Calories 48 Kcal. Calories from Fat 5.85 Kcal. Calories 59 Kcal. Calories from Fat 6.93 Kcal.